What Does Apple Pay Mean for the Small Business Owner? If you watched the recent Apple Live event, you know about five things.the iPhone 6 and +, the Apple Watch, Chinese dubs can be funny yet infuriating at the same time, purple fabulous scarves, and Apple Pay. Apple Pay, as described by Apple, is a wallet without your wallet. An easier way to pay. Basically, it’s a way to use your iPhone or Apple Watch to pay for your purchase wirelessly and securely. Just simply transcieve information through the device’s antenna, sign with your finger print, and wait for the beep. No need to pen down your signature, look at the screen, or scan your holder for the right card. It’s that simple. Even more so with online purchases. But how does it affect you? The entrepreneur, most likely the small business owner? To be released this October, Apple Pay is partnered up with a whole bunch of retailers and online services, such as Target, Subway, and Uber. They’re also with the major credit cards and banks, which in total handles 83% of all US credit card transactions. This means that although you won’t be able to put Apple Pay in your ecommerce site or use it to pay your wholesellers, it does make a lot of the transactions you already do quite fast. And this is just the beginning. Soon, you will be able to use Apple Pay for yourself. I know it. It doesn’t make sense otherwise. It’s just a matter of releasing it slowly to keep things safe and secure. Another great feature of Apple Pay is that even if Apple handles your purchases, they don’t know anything about it. They claim that they won’t save your transaction info. Instead, it goes to your phone just so you could refer back to it like a pile of receipts. And since everything is done in your phone with such a simple process, you don’t have to reveal your name, card info, or security code to the cashier. Another cool security feature is Find my Phone. If you ever lose your phone, you can go online and tag it as lost, so nothing is accessible. Now while it is probably not yet applicable to your business, unless you own or are in cahoots with the selected retailers, it should make purchases more abundant and faster when it does. Due to the service’s carefree environment (man, I’m gonna sound evil for this), people will spend less time making a purchase, giving them less opportunity to think of backing away. However, even with other companies such as Google offering similar products, a lot of people are still not yet ready to pay with their phone. People have trust issues. It’s one of the reasons we’re still alive. CreditCards.com released a survey of 1,003 people showing that 44% say that they’d never use their phone to purchase things, only 4% would always use theirs, and 9% would use it just most of the time. Just like every innovation that reduces steps in our life to make things faster, people wonder about the actual security of Apple Pay. 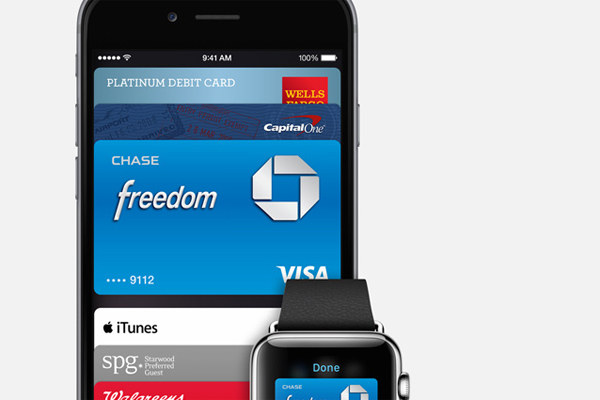 Just as with the Apple Watch, we’ll have to just wait and see if Apple Pay really works. But given Apple’s track record, it will sooner or later if not already, and they’ll probably not back out of it. They’re the type of company that focuses on fixing their products, and not blasting out every unfinished, unready, fancy, colorful feature that just hit news. They have my trust.